On this page you will find consultation, critique, mentorship, commission and class information. Details are below. 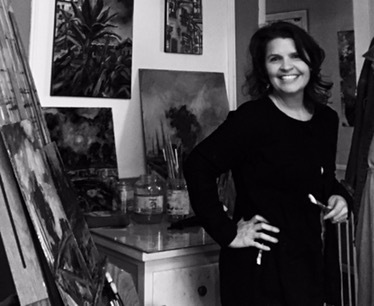 A firm believer in sharing information, Ellen Sweetman is available for one-on-one artist consultations. This can include portfolio reviews, artwork critique and/or practical business advice for artists. You will receive straightforward, honest feedback with information you can implement immediately. Mentorships are more formal and personal. Each one tailored to the artists needs. I work one on one only. I believe giving wholeheartedly for the best experience and growth per artist. Weekly schedules and specific plans made per client. A phone consult of 30 minutes is available for free to see if we are a good fit. For more information on fees or to schedule a consultation, please contact Ellen directly. Free phone consult to determine fit. Starting rates: $150/hour (6-hour max), 3 hours/$250, 6 hours/$750, Mentorship $3,000/2 months Payment plans available. Contact Ellen Sweetman to find out more about commissioning a work of art. Business hours are daytime hours during the weekdays. Weekend visits are made on case-by-case basis. Contact Ellen Sweetman to find out more about scheduling a studio visit. Are you seeking something a bit deeper than simply an art class? Have you been wondering who you are in relation to your inner artist? Have you always wanted to try a new medium? Join Ellen as she takes you on a creative journey of freeing your inner artist! This beginner course is about awakening, stirring deeply in order to heal, letting go of your inner critic, and letting your intuition and imagination guide you. This class is for individuals wanting to work through a problem. This session series offers you time, space and a sacred place to awaken, explore and deepen YOUR spirituality through Art Exploration. With guidance and support, this class will transform the way you see your inner artist, start a conversation about who you are spiritually and create a one-of-a-kind work of art. A gift to yourself as a reminder of your deep and rewarding work. $275 /person – 3 hour session I can bring the art to you or you are more than welcome to work in my studio. $50 travel fee. $175/person in a group setting (3+ people) – 3 hour session Find friends and lets have a party! I can come to you or you can learn in my studio. $50 Travel fee. This guided play course welcomes anyone to take a pause and connect with their inner creativity. We will be exploring art as a process rather than a product, using watercolor and other drawing materials. We will have tea, floral essences, and stones for inspiration. This class will have light meditation along with guided play. There will be moments of silent examination to respond to the materials at hand. Sharing is not required. The main focus is creating parallel together in a safe environment. Are you seeking connection to your self and your world? Have you been thinking about wanting to play like children do? Have you always wanted to try an art class but felt unsure? This is the class for you! Join Ellen as she takes you on a creative journey of freeing your inner artist! This beginner course is about finding your voice in art, building confidence on exploring new tools and making your mark. Grab your tools and let’s make art together. This is such a special online experience. It’s a way to explore, trouble shoot and celebrate the process of art making in the comfort of your own home. This one hour session encompasses the freedom of art making with another artists. Meditation, intention, and play leaves you feeling refreshed and with a new answers. $70/person in a group setting (3 people max) – 1.5 hour session Find friends and lets have a party! Take any of these classes and be amazed at the new techniques and skills you learn. These sessions are filled with technique, composition, and color theory. With Plien Air you will learn how to paint outside with any medium. Pre-req for oil painting is watercolor and/or acrylic background. No experience necessary for watercolor class. Pre-req for Plien Air is experience in any media. Must have your own supplies-supply list given upon request or prior to class. $275 /person – 3 hour session I can bring the art to you or you are more than welcome to work in my studio. $50 travel fee for in home. No fee for Plien Air classes. $175/person in a group setting (3+ people) – 3 hour session Find friends and lets have a party! I can come to you or you can learn in my studio. $50 Travel fee for in home. No fee for Plien Air classes. *For all services contact Ellen directly at mylivelybrush@gmail.com for availability and sign up.